Those with backgrounds in design may understand the complexity of thought which goes into the average product. To imagine the scope of design requirements for a 2 kilometer-long space carrier boggles the mind. How much planning and design goes into such a massive project as these vessels? Where would the specifications for a successful design come from when first planning such a carrier ship? It seems like an overwhelmingly daunting task to attempt to design one of these ships, let alone to build one. The fact that these craft would operate under battle conditions would offer an entirely new set of standards for such design. An area as complex as a launch bay presents numerous challenges alone. When considering an area that serves as a bridge between the vacuum of space and a pressurized compartment, it seems clear that a number of advanced technologies would be required. If these vessels carried more than the automated craft, or if this bay required maintenance during launch, this would mean that the launch bay would need some type of atmospheric control system that would maintain atmosphere while allowing craft to enter and exit freely. Those of us who remember the Star Trek series may be reminded of how this issue was solved on the USS Enterprise. In that case, an energy field which was permeable by solid objects, while at the same time maintaining atmospheric pressure was used to maintain an operational launch bay. Whether or not this method was used on Tompkins' carrier is anyone's guess. David: So that's a pretty technically detailed diagram. And it's just one of a variety of things that come from this guy who has no financial interest in this. His book didn't sell very much. He's just living on a fixed income. And yet, that degree of precision in the art doesn't seem like it would be coming from somebody who's trying to make something up. So I'm curious about how similar that looks to anything that you saw? Corey Goode: That was most likely one of the concept designs that probably got fine-tuned. But there could be a craft that looks like that out there that I hadn't seen. I didn't see all of our vessels out there. Now, that looked very similar to longer, wedge-shaped vessels that I saw that had areas coming up off the top almost like you see on a Navy vessel on the ocean. And also, it had stealth edges. The corners were very much like the stealth ships that you see – how they curve. But what I'm thinking of is, “Wait a minute. There's all this charge that you've got to move through even in space. There's inertia and there's electromagnetic fields. So do you think that part of the reason why everything has an aerodynamic shape is that the basic vacuum energy of space itself has some sort of resistance that you have to cut through when you go through it? Corey: They don't all have the aerodynamic shape. Corey: And as far as moving through charged particles and all this stuff in space, that's what the material on the outside of the craft and the electromagnetic shielding is for. David: But in a case like this, for that particular mission, if it's also going to go through a planet's atmosphere, it would be good to have some aerodynamic qualities. Corey: Right. The vessels that travel inside our atmosphere and out are usually going to be somewhat aerodynamic, even though with the propulsion systems they have they are not traveling through the atmosphere per se. They are in a bubble. And inside that bubble, the bubble is traveling. David: Is there a reason for why stealth technology seems to involve these different flat panels that are kind of arranged at different angles? What's going on there? Corey: It deflects radar, lidar, different waves, away from the receiver of the radar or lidar. So how it works is if you send it out and it hits a flat surface that is angled right, it's going to come back and you're going to get a report from that wave bouncing back. If you have sharp angles, then very little of that wave is going to bounce back. The rest of it's going to be dispersed, and the waves will bounce off, but they're not going to hit the detector. David: Well, I know that my insider Pete Peterson described that when the stealth was rolled out for Gulf War I, that it had in fact been mothballed for 20 years and was a very archaic and almost useless piece of technology by that time. Here he's [Tompkins] doing something in the 1950s that looks like stealth. David: So that's pretty darn interesting. Corey: Stealth goes way back. Corey: Right. 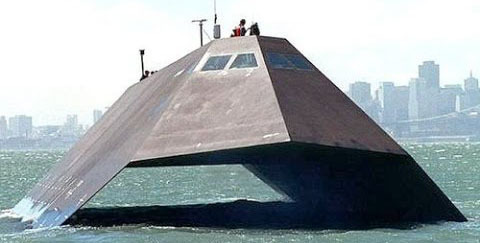 Stealth was being developed soon after the discovery and invention of the radar. While looking at Tompkins' drawing, I couldn't help but be reminded of the Star Wars films of the late 1970s. 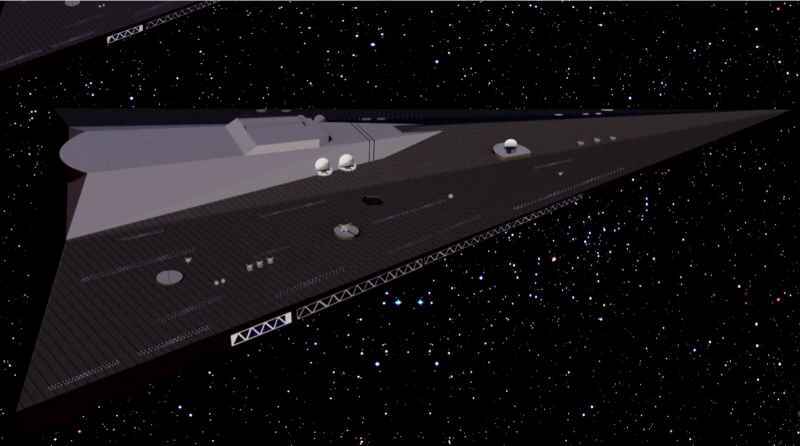 To see a long, wedge-shaped ship like this makes me think of the star destroyers which were featured in these movies. We know that there was a good deal of disclosure in these movies and to see this similarity makes me wonder just how much George Locus knew about the then-current state of the Solar Warden program. It has been discussed in passed episodes how the Star Wars series included significant detail on the ancient history of our solar system. Tompkins' design may be one hint as to the scope of disclosures within that series. David: Wow! So I noticed in the second image that he showed that you have these very, very large doors, or hatches, as he was calling them, that open up on the side of the craft, and then a lot of little triangular wedges going in. So what was your feeling when you saw that part of the illustration? Corey: Well, as far as the doors opening, I had seen elevators that lift aircraft, move aircraft around. But if you have a door opening out, that can cause a lot of logistical problems if you're in battle or if you are traveling at a high rate of speed. So usually, they have the doors open like this [side to side], up and down, and not protrude out. Corey: But if there was another purpose and a need for it, I could see why they would develop it. David: What about the actual shape of all those craft that were going into the larger craft? Corey: Yes, that was very familiar. And the fact that he mentioned in these newer vessels or carriers, they do fly drones. They have people all inside [buildings or large craft] sitting in long rows flying drones, and they control a number of drones apiece. Corey: Yeah. Little constellations of drones. David: So what would this type of craft that he was designing be used for? Is it an attack craft? Is this a support craft? Corey: It can be offensive and defensive, but usually these craft are designed to be offensive for attacking an enemy. David: Does the Space Program have any proclivity towards doing an offensive attack on a civilization that they think they could conquer and overwhelm? Or is there also . . . is it mostly going to be defensive when they're out there trying to see what's around and getting attacked? Corey: Well, it depends on who is in charge of, I guess, the Navy assets at the time. These people follow orders. So if they have a problem with attacking another species, they have to follow orders. David: Well, in the case of a movie like “Avatar”, we have a clear example of our own government/military-industrial complex, in what would appear to be the future, having developed a space program, going to another planet with people who are tall and have blue skin, but there was something there that they really wanted, which was this unobtainium. Do you think “Avatar” is describing something that is actually happening? Are there certain cases where planets are invaded for their materials? Corey: Well, I do know that certain aspects of the ICC, but especially Dark Fleet, are going out on offensive conquering missions. And they're doing this alongside the Reptilians. David: Well, and I do also remember Pete Peterson telling me that many of the craft that you see in “Avatar” are exactly identical to stuff that he had actually seen or worked on. I'm wondering if any of them look familiar to you when you saw the movie? Corey: I didn't witness a whole lot of craft that flew inside of an atmosphere. Corey: So all of those craft were clearly designed to fly inside of some sort of a dense atmosphere. The craft that I saw were not built to operate in atmosphere. David: All right. Well, speaking of James Cameron, not only do we have “Avatar”, he also had that movie “The Abyss”, where he describes extraterrestrials underneath the surface of the ocean. And here we have William Tompkins in a very interesting discussion about undersea bases. Let's take a look. Tompkins: I did get hired by General Dynamics for a Navy program. And this program was to locate German submarines – anti-submarine warfare program. 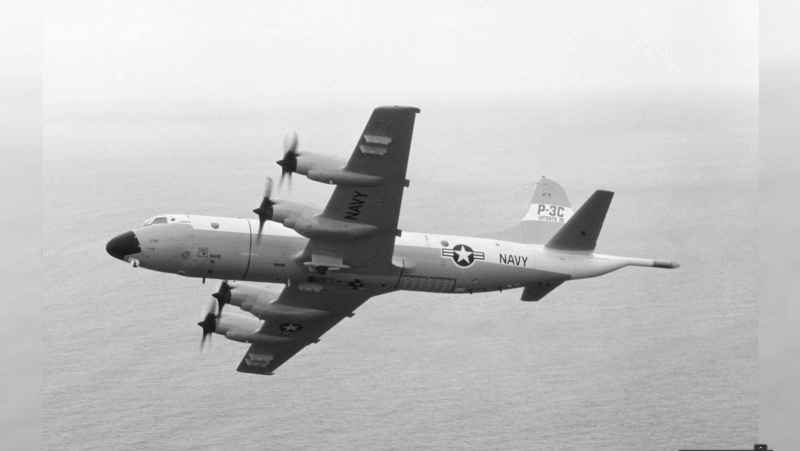 And what's interesting about this is that the Navy selected the Lockheed P-3 patrol bombers to be the air vehicles to locate German ships and submarines. This is the Cold War now, and so there was roughly 15 other NATO countries who were using the same aircraft, the same electronics, the same sensing systems and the communication system – all of it engineered and designed in US. 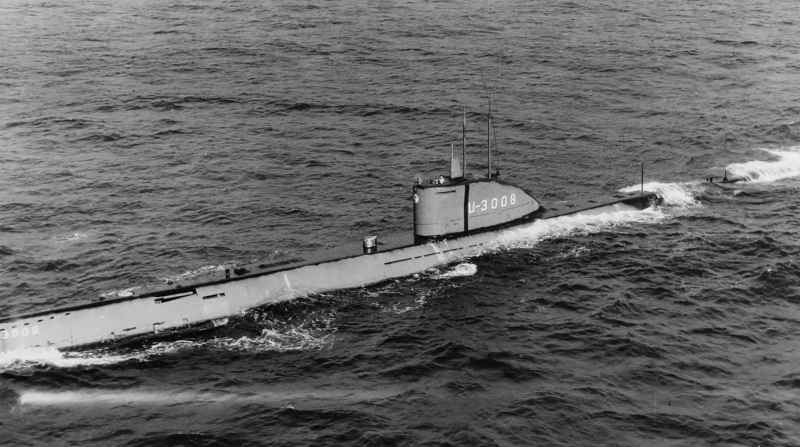 And so the United States had 120 of these, and the NATO countries had like another 60 of them, all out looking for German [and/or Russian] submarines. But that's not quite the numbers. It's more like we had 2,000 of these and NATO had another 1,000 of these – not quite that high. And remember, there were only 11 Soviet submarines operating at that time. There were many of them that were in training operations, but they weren't tactical. And so here we've got 2,800 P-3 aircraft flying all around the planet 24 hours a day looking for submarines. Well, gee whiz, that's not exactly what we were doing either. And there's a title to the program, which is the mission ASW – anti-submarine warfare. But there's also one which is ASUW. And so the “U” is for 'unidentified extraterrestrials'. And so this was the second-largest amount of military money allocated for a program on the planet. It's peacetime, but it's sort of a war condition. And we have all of these airplanes out, and it became necessary for a group, which I then was manager of, working for Data Graphics, which is a subsidiary of General Dynamics. And later on, I worked for the corporate office on the red team at the corporate level. trained to fly these aircraft, the upgrading continually of the sensing systems, the underwater systems of the satellite system programs that were required to be on board these aircraft, it's absolutely unreal. 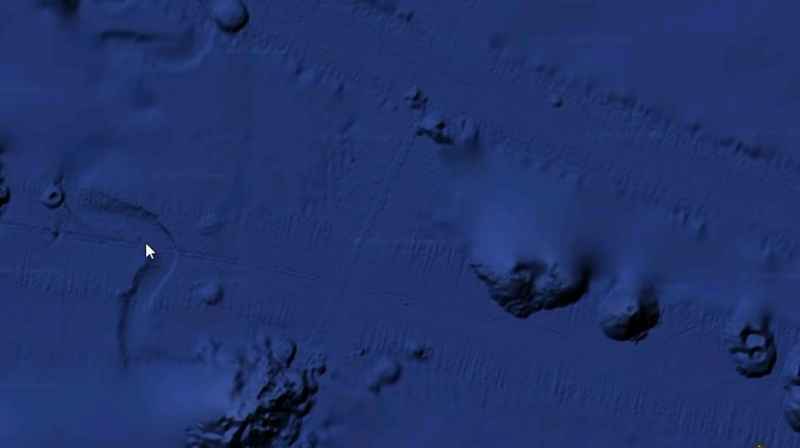 What we were really doing was looking for extraterrestrial vehicles in the ocean and in the large lakes and their bases on the bottom of the ocean. People don't realize how much money, how much time, and how many people have to be involved in these programs. And what are you doing? You're looking for extraterrestrials. Do you realize what we're saying? I mean, you're looking for extraterrestrial vehicles and bases. Your Navy is. David: Well, the first thing that strikes me about the interview footage that we just saw here is the scope of this classified military operation to try to actually identify who is on our planet, where are they, what is their infrastructure, what is their agenda? It would have to involve a massive amount of effort. So what were your thoughts on that? Corey: I have heard of operations similar to what he was talking about, of fleets that were combing the ocean looking for submerged bases, and also USOs – unidentified submersible objects, I believe. Now, from what I understood, very few people in that fleet would know what they were actually looking for. Everyone would go about doing their normal jobs. It'd just be a normal mission or a training mission, they'd be told. But very few intelligence people in that fleet would know exactly what was going on. David: Well, to have 2,800 P-3 aircraft airborne at all times – this is obviously before the era of accurate geostationary satellites. David: We're talking about a massive, massive operation here. How long do you think this had to have been done for? Corey: Until they had strong enough sonar that would penetrate to the deepest parts of the ocean, and until we had the satellite coverage we needed. They had some sort of groups of aircraft or Navy vessels that were combing the ocean looking for non-terrestrials. Or was it just really important the whole thing be secret to avoid a panic of some kind? Corey: Well, just in general, the Navy . . . I mean, you hear “loose lips sink ships”. Information is very compartmentalized to begin with, but this is not long after World War II, so everybody still had a different mindset than we do today. If the government told you to stick a lit cigar in your ear, you'd say, “Yes, sir. Give me another.” That's just the way people were programmed. David: So Tompkins is also discussing another point of corroboration with some things that you've said, which is that there were, in fact, underwater bases to be seen. So could you review for us what your knowledge is about the existence of these bases, and where are they, what do they look like, who's in them, etc., etc.? Are there different types . . .
David: . . . that would be underground or underwater? Corey: And there's a number of different types that are underwater. I even read about large underwater bases that were mobile, that moved along the bottom of the ocean and was doing some sort of core sampling or testing of the material that it was passing over. And if you located where one of these were, you would then have to track it since they now were moving. So they would have ships that would just track a mobile underwater base. David: Well, before we taped this segment, we were looking at just something like that on the Internet. Let's take a look right now at that little . . . 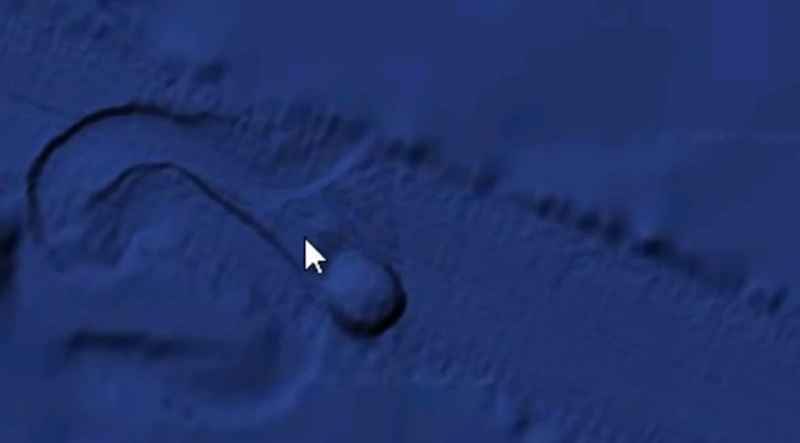 This is an excerpt from a video describing something very similar to what Corey just described – two-and-a-half-mile wide, round object that seems to be tracing patterns on the sea floor. So do you think that that is an example of one of these craft? Corey: That very well could be. I mean, a two-mile-wide object is not going to be pushed in that unusual way under the ocean by a current. This may be one of my favorite points of Tompkins' account. It serves as a connecting point between the concept of the SSP and USOs or Unidentified Submerged Objects. This is a phenomenon which commonly goes alongside with the UFO concept. According to Tompkins, the large lakes and bases of the world were thought by global military personnel to hold ET bases. We may have heard stories about high UFO activity near these large lakes and bodies of water. These stories are typically told by corporate media as though they were only a mystery. However, according to accounts, there was an ongoing investigation by hundreds of aircraft to uncover ET activity in these regions. One would think that if ET s were spending so much time on the Earth's surface and under its oceans, a resourceful organization such as the U.S. Navy would already know about it. It seems strange that the military could be operating for so long without knowing that off-worlders were carrying on missions and research right under our noses. In my opinion, the notion that ETs may be operating right next door to us is extraordinary. We have mainstream scientists searching for off-world life hundreds of light-years away. They send radio signals which take years to even reach potentially inhabited planets into the depths of space, and yet those same ETs that these scientists are reluctantly searching for are casually taking core samples in the lake next door. The thought seems humorously ironic to me. David: So what would they be doing in a case like that? What's the objective? Corey: From what I was told, these were like bases, but also laboratories. They were going around doing core samples, finding out what was at different depths below the surface, below the floor of the ocean. David: Why would somebody want to have an undersea base if there's a honeycomb Earth and they could just pop into one of those combs underground? Corey: There's a lot of different regions inside the honeycomb Earth that belong to different groups that they claim as their territory. Also, under the ocean . . . There are a lot of different beings coming here that could care less about us, could care less about any animals flying in the sky or running around. All they care about is the life forms in the ocean and the ocean itself. They see the ocean as a life form. And a lot of these are aquatic species. 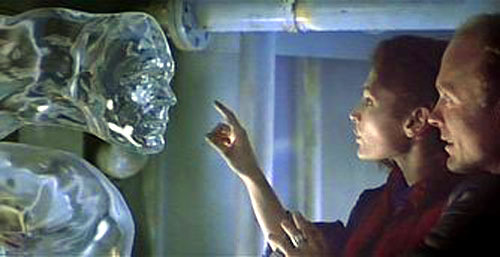 David: So what do you think was going on when James Cameron made “The Abyss”? It seems a very specific idea was being conveyed. We also have reason to believe that some of his other movies had disclosure in them as well, like “Avatar”. What do you think “The Abyss” was intended to get people ready for? Corey: It was most likely groups within the military-industrial complex starting to seed our consciousness, which is what they've been doing through movies and television shows for a long time. David: Yeah. That definitely makes sense, because this is an ongoing effort of four generations now of disclosure to get us ready for the truth. Corey: Right. And as you've already reported, when Sony got hacked, it was proven that DARPA and these other groups were passing on ideas for movies and television shows. David: Exactly. All right. Well, we have one more really exciting piece of footage for you to see here with our interview with Tompkins. 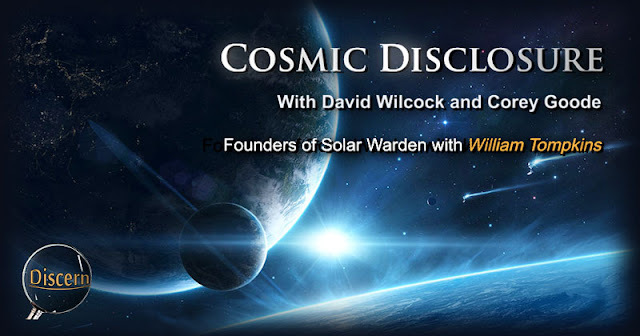 And this time, he is describing his personal experience with one of the most infamous and legendary events in UFO lore – less known up until recently, a lot less known than Roswell, but several years before Roswell. We're talking about the Battle of Los Angeles. Let's take a look now. Tompkins: February 1942, we were living in a very large home which had been converted to four apartments – two upstairs, two down. We had a great big enormous deck that ran all the way across this real high-celinged building. So we were four blocks from the ocean, okay? We can't see the ocean, because it's down low and trees are in the way. So my brother and I are laying on our floor listening to the radio and looking at some papers, and my dad says, “Get out here – out on the deck. Get out here NOW!” And we got up, and we went out to the back deck. So right above the horizon of all the trees and stuff and buildings is this dot – a white dot. It's just there. And it's got to be some aircraft flying in to come over and land at the airbase, but it's not moving. It's just a bright dot. And off of this dot, to the left, is a little beam. It's like a pencil beam, but you can see it. This is out over the ocean, like maybe inside the breakwater, because we couldn't see the ocean, and we don't know how far out it is. It could have been 10 miles out. What in the world was that? So we're watching it for about five minutes, and then there was a flash – a brilliant flash into our eyes. It lit up the trees, the back, the side of – everything got lit up. And we looked and looked and looked, and everything was gone – nothing else. So we went to bed. 12:30 at night, the anti-aircraft guns started firing. What we're talking about is this fantastic situation, the Los Angeles event – the Battle of Los Angeles, okay? The anti-aircraft guns all started firing. We go outside. Here's this massive thing right above us this big [Bill holds his hands about 3-ft. apart] – right above us, maybe 7,000 feet. The anti-aircraft shells are blowing up on the bottom of it all around it. There's eight searchlights all focused on this as they're shooting at it. And, of course, nothing is happening. And it parks there for an hour and a half. While it's parked, hundreds of different types of vehicles – most of them circular, but some cigar-shaped, large ones – came in underneath, being fired on where they're still trying to shoot this thing down. They came around him. They came over him – all night long. Now, it got boring after awhile, so we went to bed at 3:00 a.m. I don't know how it gets boring, okay? We went to bed at 3:00 a.m.
Now, when it started, everybody came outside. All of us are standing there watching this event. Now, what was not published was that the breakwater is full of Navy ships who used up all of their ammunition that five-hour period – not just the coastal artillery who used up all of their ammunition, okay? Your whole two Pacific navies, the Eastern Navy and the Western Navy, used up all their ammunition. They finally quit, of course, just before daylight, and everybody went back inside. But from the standpoint of all of us out there watching this, nobody got a heart attack. Nobody got sick. Nobody got scared. Nobody got frightened. On the other side of the planet, London, was being bombed by the Germans. And they're trying to get into shelters. We had a five-hour war, except they didn't shoot at us. But nobody got sick. The only persons who were actually wounded was from shrapnel. A couple of guys actually were killed. Almost a million people in California watched an event for five hours of a massive extraterrestrial battle group that came over California with a mission. The battle of Los Angeles and the various accounts we hear have many details. However, the specific details of the smaller drone-like craft that are said to have come out of this craft were completely new to me. This account reminds me of one particular phenomenon which has occurred multiple times in the Western United States and in Mexico. If these were balloons, the fact would be obvious. Balloons move with the wind and have no stability of position. Yet these objects seem to remain uniformly stationary relative to the clouds behind them. Free-floating objects do not do this. David: Well, this is obviously one of the great classic events in UFO lore, something that just can't be covered up. Did you ever hear about or read about this battle on the smart-glass pads or in any of the briefings that you had on the inside? Corey: I read that it had occurred. The only thing that I saw that wasn't reported here is that during the same time period, we did recover a non-terrestrial craft from the ocean in that general vicinity. Corey: Yeah. I don't know if that would have been one of these smaller craft that he saw or the large one. To me, it seemed as though they were unaffected by the anti-aircraft. David: But it is possible that one of them took a stray hit or something and landed in the ocean. Corey: It could be. Or the Battle of LA craft and these other craft that sound like came out of it could very well have been searching for . . . It might have been a rescue operation. You know, there's a number of things it could have been. 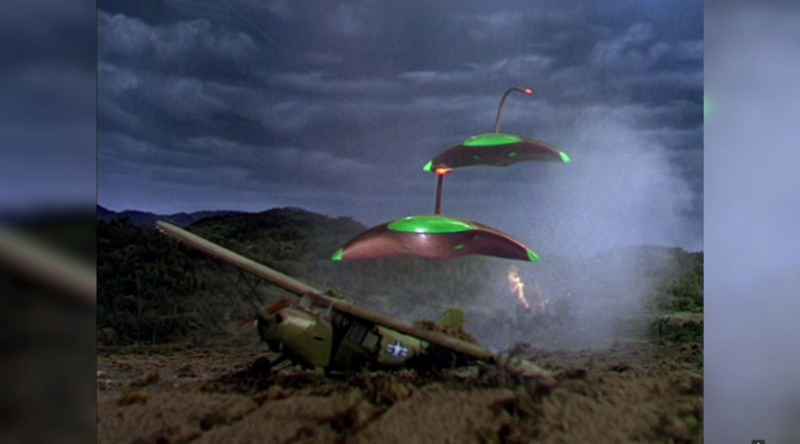 They could have been probing our defenses, or maybe making a point to some of our leaders after a recent meeting. David: Well, let me run this idea by you. This is something I discussed on “Wisdom Teachings”. It's worth repeating and getting your thoughts. If you go back to Fatima, Portugal, right after Portugal enters into World War I, which is this horrible, devastating thing where tens of millions of people are dying, ultimately, you have these kids who start to be in contact with what appear to be spiritual beings that ultimately leads to a mass sighting of a silvery disk in which 90,000 people witnessed this thing. And then they're soaked in rain, but when the whole thing's over they were miraculously dry. The craft appears to shoot rainbow colors all over the sky. 90,000 witnesses . . . That would have been the end of the cover-up if it had happened in our times. Corey: Right. And a million people seeing this in Los Angeles, and sounds like Long Beach and other areas – today, with everyone having an iPhone, it would – yeah, it would be over. David: So do you think it's possible that both the Fatima sightings and the Battle of LA could be benevolent groups that are showing us these things as we enter into war, to try to steer us away from warfare perhaps? Corey: It very well could be, because with their technology, they could have flattened the whole city with very little effort. So they were obviously not there for some sort of offensive operation – maybe an intelligence operation, rescue recovery operation, or there to make a point. But I really don't know exactly why this incident occurred. According to what I've heard, there was some treaty signed that this type of open sighting, open mass sighting, is against a treaty. Corey: So there had to have been a good reason why it happened. David: Now, we've heard from guys like Benjamin Fulford in some of his disclosures that he was told by Pentagon insiders that 75% of all production money for Hollywood films is coming from the Pentagon through various backdoor firms. So let me just ask you first if you have ever heard anything like that? Corey: Oh, yeah. Yeah. A lot of money from the DoD (Department of Defense) and Pentagon is going in for propaganda. The Battle of Los Angeles can be a challenge to research. However, this occurrence is one of the most interesting accounts of forgotten American history that we may find. This incident seemed to mark a new age for humanity—one in which the common population would learn of the reality of advanced technology and off-world space crafts. The difference in technological development between those shooting compared to the craft was one of the most notable details about these accounts. For an aircraft to hover in the air for hours on end while being bombarded with the heaviest artillery the United States Navy had to offer, without even flinching is downright impossible by earthly standards. To this day, none of the cover stories told to cover up this event even come close to explaining all that went on that night. As stated, if this happened in modern times, it may have represented disclosure in and of itself. It is a privilege to be able to hear this account from one of the living eye-witnesses who witnessed this extraordinary event. David: So why do you think the Battle of Los Angeles movie would be made? Do you think maybe they're confusing people's Google search so that they're going to find this movie instead of any real information? Corey: Well, they know that that was a very significant occurrence UFO-wise in American history. Nearly a million people saw it. Corey: So it was already in our consciousness. So that's a tool for them. And they – they being different military intelligence groups – are trying to spin the narrative that all of these beings coming in are negative, and that they are here to invade. And this one obviously wasn't, because it didn't attack. David: Do you think maybe creating a movie with the same title blocks people from finding the original incident at all? Corey: It could do that, or it could just put the whole sci-fi spin on it to where . . . You know, we're already programmed to roll our eyes any time we hear anything alien or UFO. That's probably part of the effort. David: I was fortunate enough at one of my conferences to have a woman stand up who was a little girl during the time that this happened and witnessed the entire thing. And it was quite fascinating. We let her speak for some time to the audience. It was quite spontaneous. The point is, a million people is a lot of witnesses. It's kind of amazing that we still have a UFO cover-up after something like that. Corey: Yes, but the propaganda and the programming that has come from these intelligence groups has been very effective. So there's a good chance that if something like that happened today and we didn't get photos, a lot the people that witnessed it themselves would, after a few days, be like, “Oh, that didn't happen.” Or just forget about it and move on. David: Well, another interesting thing regarding the Battle of Los Angeles is the “War of the Worlds” broadcast. The original broadcast with Orson Welles was in 1939. But then when the movie came out, it was after this had happened. And we have multiple eyewitnesses saying that the craft that you see in the “War of the Worlds” movie is very similar to the one in the Battle of Los Angeles, except that it has a little periscope on the top. So why do you think they would actually put the real craft into the movie? Corey: Well, they're always hiding things in plain sight. So if you were to see something similar to “War of the Worlds”, on some level you might be willing to discount it, thinking, “Oh, that's military, or that's some concept that's being used for a movie”. You're going to jump to that instead of aliens automatically. That's possible. David: Well, do you think also that putting those exact same craft into “War of the Worlds” where they become hostile attackers . . .
David: . . . instead of peaceful demonstrators, could be like a form of mass mind control? Corey: Well, sure. If you see a certain craft design and see it destroying cities in a movie, well, if you see it in real life, what are you programmed to think? They could be coming down to say, “Hello”, and maybe give you a ride and show you around the solar system, but you've been programmed to run and hide because you think that it's an invasion. David: Exactly. Do you think it's possible that we could have another mass demonstration like that at some point that there could be another event like that if, for example, this Mohammad Treaty gets overturned? Corey: Absolutely. If the treaty that's supposed to prevent that is overturned, there are a lot of non-terrestrials that want to be up in the sky and over populated areas to let us know that they're here. David: Now, you also mentioned in some of your recent briefings that both the SSP Alliance and the Cabal are concerned about the possibility of wreckage crashing into a major American city. So just real briefly, since we're talking about these battles in the air, what are they thinking would happen, and how would that play out on the world stage? Corey: Well, they're afraid that some of their weapons platforms that have been up in orbit, and advanced craft, could possibly fall into a populated urban area with all of the activity that's going on up there. There are shootdowns happening. And then they will focus on cleaning up the debris. David: So this is something that they're actually very concerned about. Corey: Absolutely. That is . . . I've heard a number of times that they're worried. David: Are there more battles happening in our atmosphere now than there were before between these cloaked craft? Corey: Yes. It's kind of reached a crescendo in recent times. There are human-piloted craft fighting each other, human-piloted craft fighting non-terrestrials and different non-terrestrial groups that are having skirmishes. David: So what would we expect if they tried to cover this up? What would be the kind of headlines we'd see or the stories we'd hear? Corey: Just like the example I just gave, that some sort of secret satellite had crashed or something like that. They're not going to say a UFO crashed. David: Or a nuclear event . . .
David: . . . chemical emission. Something like that. Corey: Right. Something that's going to scare people. Corey: Like some sort of disease or any number of things. David: All right. Well, you saw it here first. This is “Cosmic Disclosure”. I'm your host, David Wilcock, here with Corey Goode. And we're reviewing footage from William Tompkins – absolutely mind-blowing stuff. Thank you for watching, and we will see you next time. It is always interesting to hear accounts of ET encounters. These stories peak our imagination and can help us look forward to the day when these are no longer coveted stories, but our own experiences. According to reports, we have a number of issues to solve on our planet. We have sickness, war, violence, oppression, and one particularly psychopathic Cabal who is bent upon sustaining all of these issues for their personal gain. This has to end. The only way that we can move forward is together, and the only way to stop this Cabal and their various questionable activities in space is to expose the entirety. By now, we know full well about Full Disclosure. This is the final blow to Cabal influence. After this point, our road to breakthrough and planetary renascence will be much easier. However, this cannot happen unless we make it happen. It is up to each of us to save ourselves as a planet. According to Corey Goode and numerous other sources, we do have help from countless benevolent off-worlders. However, these groups are not here to save us, but to follow our lead as to the direction we want to go. This leaves us the task of creating the world that we want to see, becoming the saviors we want to see, and the people we want to be. Our task is clear, and it's time to learn to create.